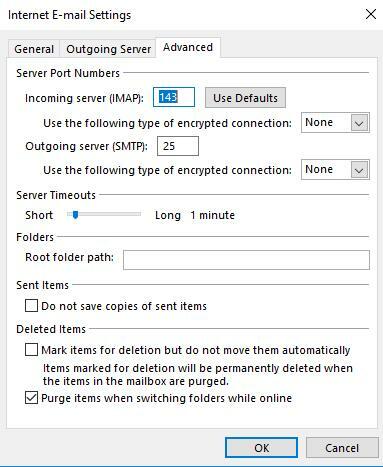 In order to send and receive mails in Outlook, it is really important to configure the Outlook account with proper server name and ports. The server name or the IP address ports are provided by your ISP provider. Any flaw or change in one of the following settings will completely halt a send and receive operation in Outlook. This directly means that you will no longer be able to communicate or share any information in Outlook. Outlook error 0x80040900 is one such error that may have occurred due to any of the following reasons which have been listed below. The list of causes for the error 0x80040900 might be longer and may involve a lot of effort and evaluation. However by strictly following the below mention instructions we can eradicate most of the problems that cause a send and receive error in Outlook. Note: In the process of resolving the send and receive error 0x80040900, one or more of the proposed resolutions might make your system vulnerable to malfunction. Hence the user is recommended to assess the risk and maintain caution before making any suggested changes. Check internet connectivity: Before we start with advanced troubleshooting methods it is essential to check with the internet connectivity. You can just open the browser and check if you are able to browse. If not restart the router and check if the status lights are blinking. The last resort in this case would be to contact you internet service provider(ISP). 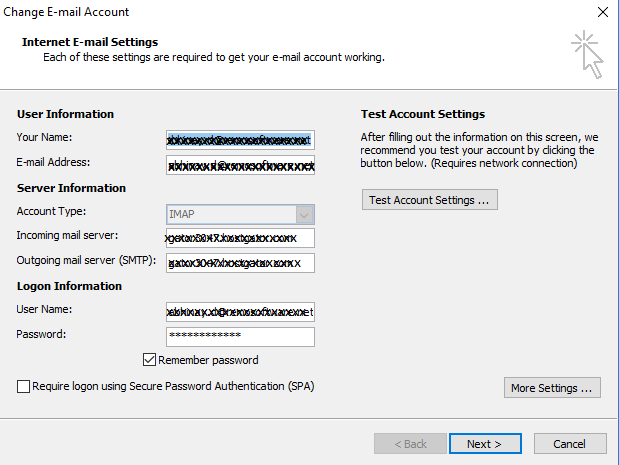 Verify with the email account settings: If you have used Auto Account setup to add your email account you can go ahead and verify them from account settings tab under tools However if you have used manually added your email account (IMAP/POP3). You can double click on the email address to check the server information including account type incoming and outgoing mail server. If the settings do not match with the predefined values add the email account again by creating a new data file. Remove any apprehensive or suspicious mails from the inbox: Some of the spam mails target Outlook macro codes and hence interrupt the send and receive process. The next course of action would be to remove any unwanted mails that you have received from farce senders. 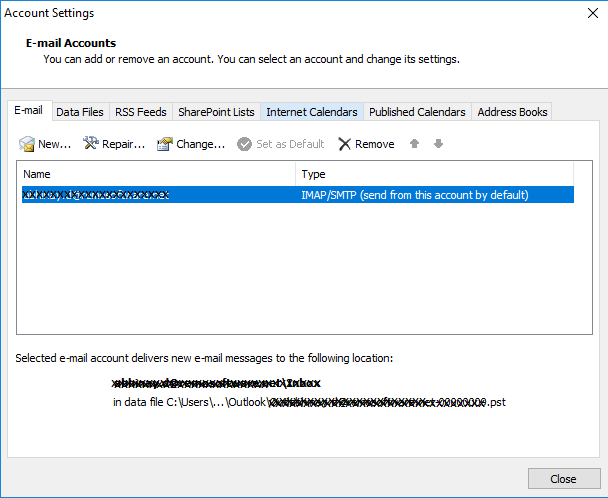 After the inbox clean up you can repair your Outlook OST file if you use an IMAP account or repair PST file if your account type is POP3. Configure you antivirus to work fluently with Outlook: Some antivirus programs are very extensive and terminate any process that might threaten the security of the computer. 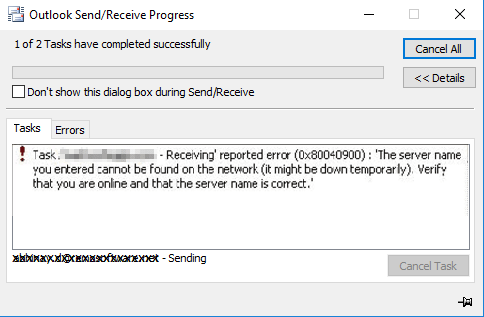 This is the same reason why the Outlook OST file cannot be opened some times when you are trying to connect to servers with low security. If no antivirus related plug-in is found in the Add-ins list as shown below check with the antivirus manufacturer’s website if a plug-in is required to smoothly operate Outlook. Click on allow an app or feature through Windows Defender Firewall on the left side of the screen as shown above. Find if the app Microsoft Office Outlook is checked as shown below. Note: It is to be noted that any changes in Windows Defender settings might put your computer security at risk. Hence kindly act with caution when making changes and use this resolution as a last resort. Right click Start button on the task bar and select apps and features. Choose the Office product you intend to repair and select Modify. If your version of Office displays the How would like to repair your office programs menu choose Online repair. If you see MSI based installation menu choose Change your installation>Repair>Continue to repair. Go to control panel and select Uninstall a program under Programs. 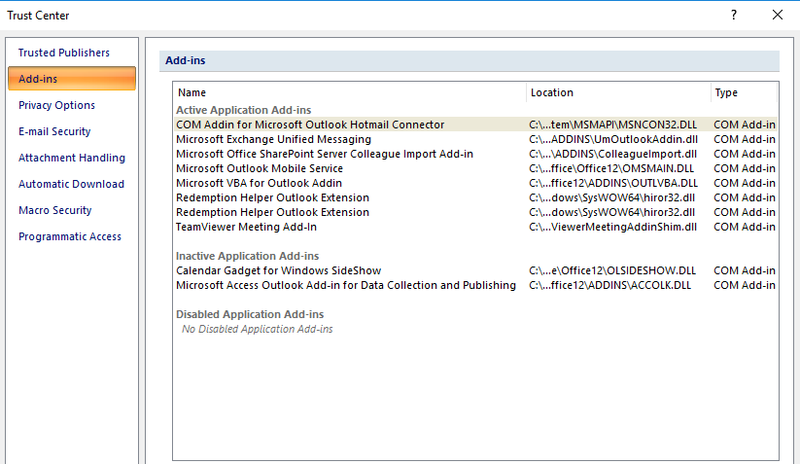 Find the Outlook application under programs and the right click on it to find Change. Now follow step 2 from the Windows 10 section. Elevate the server time out: The server time out value defines how long would the server would take until the server request is fulfilled. Lower server time out values may interrupt the send and receive progress. To change the server time out settings open Outlook go to File>Info>Account settings and select the email account facing 0x80040900 error. Find Change option on the screen and select Advanced tab as shown below to find server time out setting. Change the value accordingly. Beware that even a higher Server Timeouts might cause problems, hence adjust an optimum timeout. 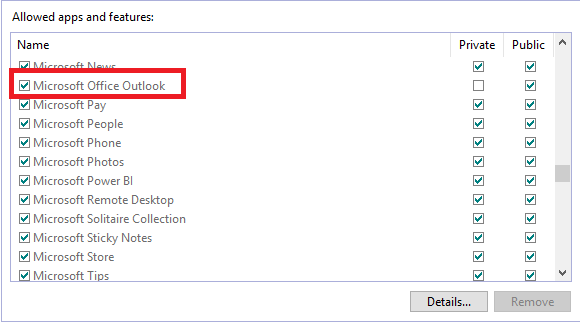 Remove any third party plug-ins you have added to Outlook: Before you remove any plug-ins added try starting Outlook in safe mode and check if it functionality is not affected. Unaffected functionality would mean that the third party applications/ plug-ins are affecting Outlook, now you can go ahead and remove plug-ins one by one to find the cause.